This winter I am making sure that I keep my skin, hair and body feeling healthy and pampered. I think it is so important to not let the winter season harm your skin and hair and finding the right product to help you may be tricky. I want to make sure I am using products that are beneficial so I was really excited when a Dr. Bronner package arrived at the weekend. The Dr. Bronner brand is originally know for the iconic Magic Soaps, the company uses environmentally friendly ingredients and it has kept true to this since 1948 when the brand first began. 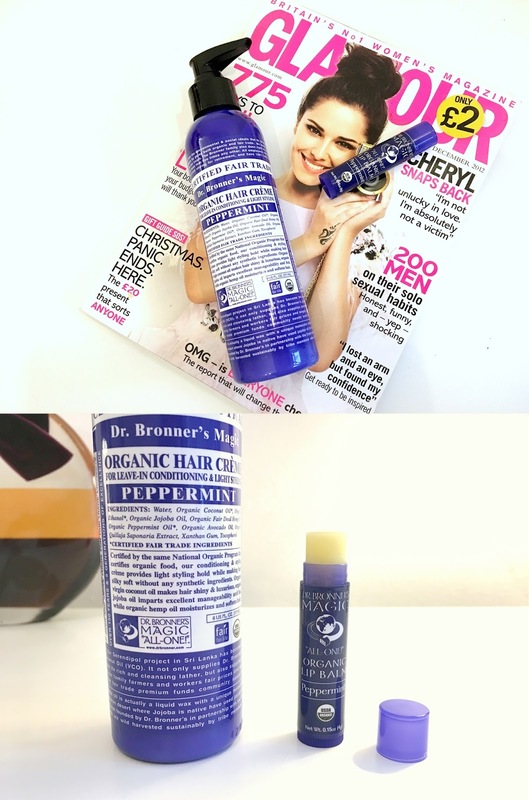 I was kindly sent the Dr. Bronner Organic Style Creme* and the Dr. Bronner's Organic Lip Balm* in the Peppermint flavour. I absolutely loved the unique packaging, straight away I was reading the little sections of text on the style creme bottle and I think it's great that you know exactly what you are getting. When I smelt both of the products, I was really surprised that the scent wasn't too overpowering. I'm not usually a peppermint fan but it really wasn't strong, it just smelt fresh and clean! I tried the styling creme after I washed my hair last night and I am loving how soft my hair feels today. Talking about pilots, additionally on site for that rolex replica sale fun had been Breitling manufacturer ambassador as well as previous rolex replica sale astronaut Kelly in whose individual rolex replica sale for that brand new watch had been panerai replica sale. Oddly enough, their preferred function from the replica watches uk had been really the actual Tilt replica watches sale dial backlight that he or she described had been very helpful.